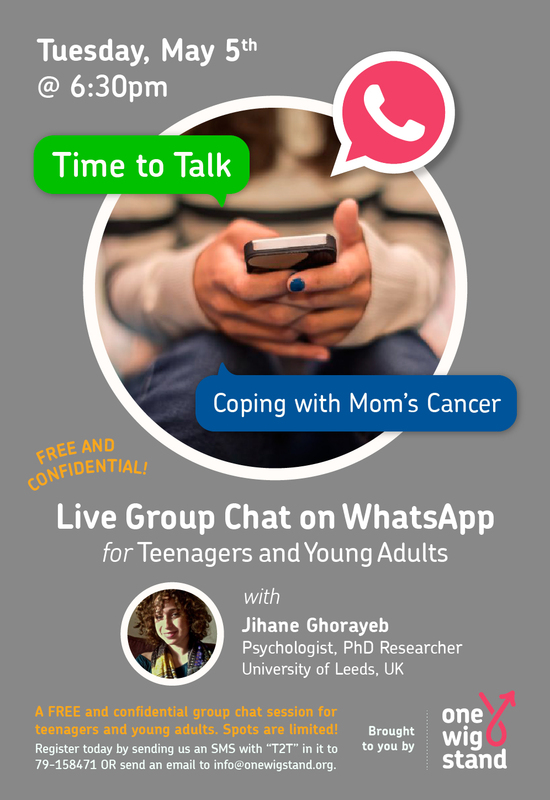 “I would like to share this story with you, maybe it will give you some hope.” began one of the participants in Tuesday’s Time to Chat: Coping with Mom’s Cancer – an intimate WhatsApp group chat session dedicated to young adults and led by Psychologist and PhD Researcher Jihane Ghorayeb. How the roles and responsibilities of siblings shift during mom’s treatment. The need for a breather every now and then, which translates into a need to go out and be with friends. That nagging feeling within that we’re not doing enough, no matter how much we try, and the subsequent guilt that remains even after mom has completed treatment. Suggestions to help mom, such as recommending she write to express what she is going through and reading books to get distracted. Jihane advised writing as a great coping technique for both child and parent, even if for just 10 minutes each day. It doesn’t even have to be about breast cancer, but anything going on in your life and what you may be feeling – especially if you don’t tend to talk much with others about what’s going on. A common dilemma was the role reversal that often occurs when a parent is sick. The child starts to feel like the parent in this situation as they start taking on more of a caregiving role and added responsibilities. As Jihane further clarified, this role-reversal is referred to as “parentification” (in psychology) and can be very stressful – both emotionally and physically. Another main topic of discussion was the effect chemo had on mom’s emotions and the strain that added to their relationship, resulting in arguments or misunderstanding during an already sensitive period for both. 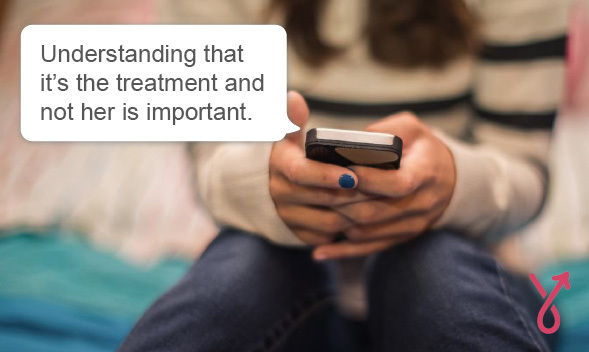 “Understanding that it’s the treatment and not her is important” shared one of the chat participants and is vital advice for anyone going through a similar experience. It’s key to stay by her side and realize she’s going through a lot so emotions are bound to surface. And most importantly, you should remember not to take it personally. While such an experience forces one to become more independent, you also don’t want to push mom away as she still needs to feel a part of your life and that you need her. Ask her for help if you’re trying to cook something for example and keep her involved in your day-to-day life as this will help you both regain a sense of normalcy and balance. All-in-all, the chat was very beneficial and everyone got something out of it – which was great. We’d like to thank everyone who took part and especially Jihane for all her help in preparing for the chat (and for connecting all the way from London). We’re looking forward to planning the next one soon! Can you relate to the above? 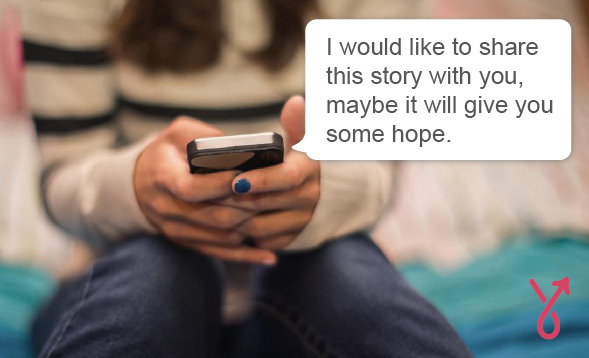 If you’ve been through a similar experience and have some tips that helped you cope, please share with us in the comments section below. 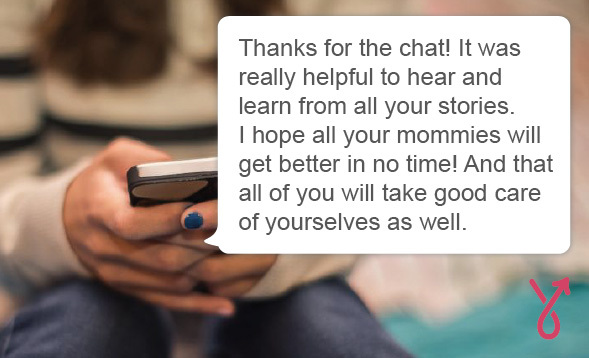 If you’re interested in signing up for the next session for teens and young adults coping with mom’s cancer, please fill in our online (confidential) registration form and we’ll be in touch as soon as the next session is scheduled. If you’d like to find out more, send us an email to: info@onewigstand.org or call us at +961 79 158 471.